If you are seeking ways to treat your flying phobia, it will require a complete reassessment of some essential issues: how you perceive flying in a plane, the management of your own anxiety and the underlying beliefs that are influencing your reaction. Having a ‘fear of flying’ recognises that when you fly, you suffer with high anxiety. The phobic flyer however avoids flying completely and is extremely distressed when they go anywhere near a plane. They may even suffer anxiety when friend or family member takes a flight. This is the major distinguishing factor between a fear and a phobia: when you have a fear, you somehow manage to get through, whereas when you have a phobia, you keep away! Since you have a flying phobia, let’s consider that for some time, you have abandoned the idea of flying in a plane. You are a master of avoidance strategies, but you are desperate to change this situation and treat your flying phobia. What are the first few steps that will initiate a change? Here are six stages that will help you face your flying phobia so that you can view it as a more manageable task. Be prepared for some deep self-analysis and a strong determination to acquire your coping skills. It may even require some outside help, but we’ll come onto that later. These ‘treat your flying phobia tips’ draw from my years of experience as a clinical hypnotherapist helping patients overcome their flying phobias in Cardiff with hypnotherapy. Very few flying phobias begin as flying phobias. Flying just happened to fall into the progressive development of an unresolved external fear e.g. a fear of confined spaces. Over time more anxious situations are engulfed by the original fear until any situation can unpredictably set off your panic attack. In your heightened state of alertness, you ultimately ‘panic about panic’, responding to your own internal danger ‘signs’, until no situation appears safe. When you can identify your primary belief however, you are in a better position to confront what is driving your flying phobia. You can then focus on dealing with the primary issue and ignore the minor ones that are fooling your heightened state of alertness. 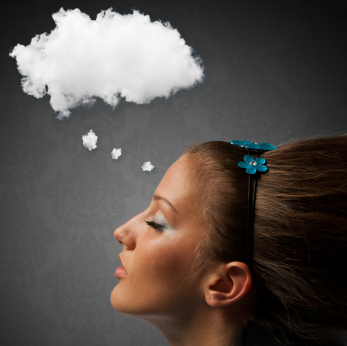 Identifying your primary belief can be achieved with self-hypnosis. Take your time with this visualisation: Imagine a time-line of all your past experiences and as a viewer looking in from the outside, consider all the situations when you first panicked. You may not have realised at the time that it was a panic attack, because you were trying desperately to cope with the situation. You were probably young and felt very distressed. Your mind will have “sited” the situation although you may not have become conscious of it. But it will be there waiting to be identified. Then consider any situations in your past that you made an effort to avoid. With avoidance tendencies, you recognise that there is something uneasy about going into this situation; you just haven’t identified the primary issue behind it. Identifying your primary belief can take you one step closer to being able to treat your flying phobia. If you are struggling with his visualisation, learn some breathing techniques to help you relax and help you use more of your imagination. You can also use this list of fears associated with a fear of flying to help you analyse what lies behind your flying phobia. Dealing with the anxious event whilst it is happening is one thing. Coping with what is ‘churning’ in your mind before the event takes place is the focus of this ‘treat your flying phobia’ tip. Anticipatory anxiety is the worrying that precedes your exposure to a future fearful event. It could be fear of a panic attack or an imagined “catastrophe” when flying. It is ‘real’ anxiety that exists in your mind because common sense tells you that “the flight is not happening right now”, but your emotional history is creating symptoms as if you were experiencing it right now! In an attempt to warn you of this danger, your “fight or flight” stress response ‘kicks in’ and generates more anxiety symptoms. Unfortunately, this extra alertness is adding to your distress because these are the symptoms you are desperately trying to avoid. Externally, nothing is happening yet, but you are causing your own false alarm! Your mind is locked in a circle of “what if’s” that could go wrong in the forthcoming flight (but rarely ever does go wrong in that situation). The continuous red alert created by anticipatory anxiety can disrupt your life in many ways including your concentration, your moods and your sleeping patterns. Hyperventilation, palpitations and IBS are commonly experienced on a daily basis. Even when you are doing something routine, the fearful outcome rises up into your awareness and prepares you for the imminent danger, even though it could actually be weeks away. The irony with anticipatory anxiety is that your worry works against you. Your mind is waking you to the place that it is desperately trying to avoid (usually having a panic attack). Don’t think of an orange, and what happens? You think of an orange! If you associate anxiety with an orange, thinking of an orange will generate your anxiety symptoms. If what you historically associate with flying are imagined catastrophic events and/or panic attacks, then when you think about flying, up surges your anxiety symptoms as a warning of these past/future threats. 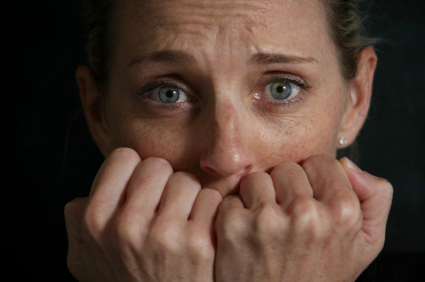 Anticipatory anxiety plays its part in almost all anxiety-related conditions and situations. When you can recognise anticipatory anxiety’s deceptive nature of avoidance, you are in a better position to release your ‘false alarms’ and deal with the situation in hand (i.e. control your emotions when flying). Anticipatory anxiety “locks” you into perceiving the build up to the anxious event and the actual fearful situation as one traumatic process. It’s as if you are on a conveyor belt about to be tipped into the fire and the only way to survive it is to avoid it completely. Using this analogy, step off the conveyor belt and break free from the build up (the anticipatory phase). Only then can you consider what you are actually required to do to cope with the situation when it happens. In many cases, you are required to do very little in your phobic situation, as is the case when you fly in a plane. Control your stress symptoms and let the journey take care of itself. It’s easy to think that if you are suffering anxiety now and the flight is a month away, your anxiety will only get worse as the flight draws nearer! But this is anticipatory anxiety fooling your mind again. The majority of anxiety is created leading up to and immediately before the phobic situation. In the phobic situation a very different set of resources are required. Consider the situation where your primary fear is of confined spaces. You will have high anticipatory anxiety just before boarding the plane and prior to take-off. But once the plane has taken off, the anticipatory phase has passed. You are now coping with your confined space and can benefit from the exposure to it. If you fear turbulence, you may run a series of anxiety attacks throughout the flight. This is because you will panic when you experience turbulence. You then switch back to anticipatory anxiety, placing yourself on standby waiting for the next sudden movement of the plane. When you focus your coping skills on dealing with turbulence alone, only then can you become more proficient at overcoming it. You already know that previous traumas can keep you on the high alert when facing similar situations again in the future. But what do you take away from the event when the outcome has ended favourably? When the plane has successfully landed at its destination (or you removed the spider from the bathroom), does it mean that you no longer have a phobia? This “light bulb” moment of change can instantly happen in some situations and with some people. This is because the success of the event has altered your deeper beliefs and emotions related to your phobia. But when the success (or the absence of the imagined catastrophe) fails to register with you, it can be because you are measuring the success using your anxiety feelings. It’s as if “you felt anxious at some point, so it must have gone wrong. Better stay on the alert next time just in case!” Inevitably, you stay locked in the anxiety cycle the next time you challenge your phobic situation. Part of the positive re-learning process is to have some anxious feelings, but this doesn’t mean it has failed. Even positive change can create “butterflies”, so expect a degree of anxiety. 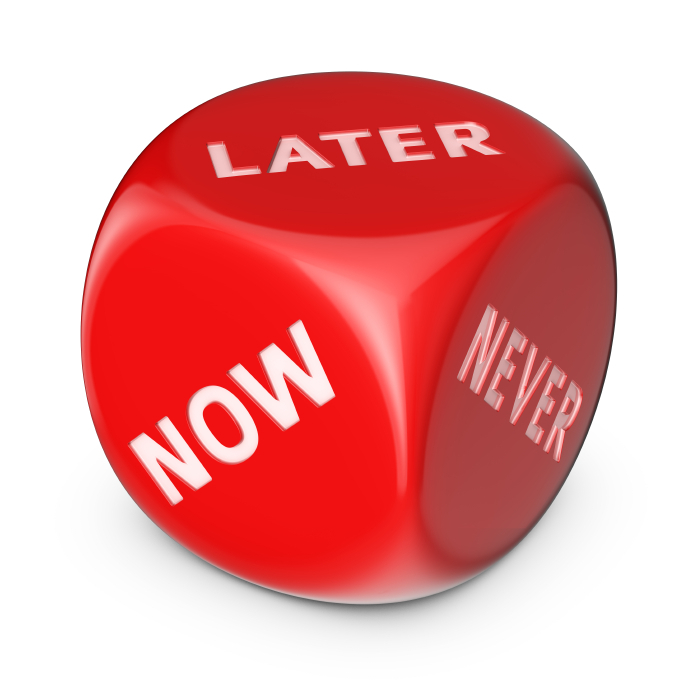 When you can focus on the success of the outcome, the anticipatory anxiety will no longer keep you locked in anxiety. You can now identify that anticipatory anxiety is creating a false alarm and fooling you into believing that the worst possible outcome is going to materialise. But the number of times that the imagined catastrophe has actually happened is probably rare (compared to the times that the imagined catastrophe didn’t happen). Until you can appreciate that all of this emotional preparation is unproductive and is a waste of your effort and energy, you’ll continue to stay on the alert, waiting for your past history to repeat itself. What can you do about this? It takes courage to stare anxiety in the face and ignore your anticipatory anxiety warning signals that just serve to distress you. Only then can you focus your effort on how to cope in the situation that is triggering your anxiety when it actually happens. That’s where the positive emotional benefits will be returned to you. Is keeping busy going to help to you manage the anticipatory anxiety? It can, but you have probably found that when you are doing something routine, the anxiety pops up into your awareness. So it’s not the total solution. It’s ironic that in many cases, you are required to do very little in that situation that is triggering your anxiety. When you are sat on the plane, you can use some techniques to control your anxiety and find some activities that help pass the time; and that’s just about it! For those who rely heavily on distraction as a solution, this is where your mind is compromised. Yes, it helps when you can actively engage in activities, but when they are ‘low intensity’ activities, anxiety will worm its way into your consciousness and overwhelm you. So ‘meet’ with your anticipatory anxiety and let it pass through your mind, right out of the other side! You don’t have to battle with it; your energy is too precious! This ‘treat your flying phobia tip’ assumes that you have identified your primary belief related to your flying phobia. Let’s say that your flying phobia has grown out of a fear of confined spaces. You can now begin to approach moderately anxious situations that are confined but without the same intensity as flying (e.g. lifts or other modes of public transport) and re-learn how to desensitise your response. This is classic systematic desensitisation, and provided you are committed to the re-learning process, you can gradually re-build your confidence in progressive stages. Methods of desensitisation involve creating an anxiety scale from one to ten. Ten on the scale would be a highly anxious situation (flying); one would be a calm situation. On the scale involving confined spaces, identify all of the dynamics that increase the anxiety rating. This can include, the level of commitment, size of the confined space, number of people present (social anxiety), the relationship of the people present (are you more confident when you know them?) etc. The aim is to start low, engaging in various situations and progressively moving up the scale as you relax or get used to these situations. Then challenge the next situation further up on your anxiety scale, until you are ready to cope with flying. The process also involves setting up an internal anxiety scale. Ten on the scale is feeling panicky; one is feeling relaxed. When you enter a chosen situation, assess your anxiety level e.g. going into a confined space triggers your anxiety at feeling level of six. Aim to stay in the situation until your anxiety level goes down even slightly so that you feel more relaxed than when you arrived. As long as the situation doesn’t change (i.e. there are no new perceived threats), your anxiety will peak, stabilise and then decrease. The act of staying in the situation until your anxiety level lowers helps you to benefit from exposure to your perceived threat. By repeating this process, you will overcome your fear of the situation over time. However, leaving the situation at the height of your panic state increases your phobic response. A “quick getaway” reinforces your mistaken “claustrophobic solution”; that the quicker you can run away, the calmer you will feel. So wait for the anxiety to diminish and learn some relaxation techniques to facilitate this change. So with your commitment to overcoming progressively anxious situations, the top of the anxiety scale (flying) won’t seem like a huge mountain to climb in one go. You will develop confidence and self-belief en route. The emphasis on “commitment” is also an important requisite. This is because when you commit to a realistic goal, it helps your mind to decisively focus on the method required to achieve the goal. This is in contrast to the effect of anticipatory anxiety (see above) that causes your mind to hesitate and avoid confronting the situation. You’ll keep dithering until you can’t run away any longer, which will generate more anticipatory anxiety. Committing to a realistic goal has with it some notable amounts of stress, but the commitment helps you to step away from the procrastination stage and move into the “how to do it” stage. This is helpful in the process of change and for the beneficial exposure to your fear when you want to treat you flying phobia. This “treat your flying phobia tip” considers your reaction only. What do all phobias have in common? Regardless of whether your phobia is related to an object, situation or internal fear, you will panic or fear that you will panic. Your panic has become your conditioned response. You believe that by confronting your situation (and/or panicking), it will traumatise you further. 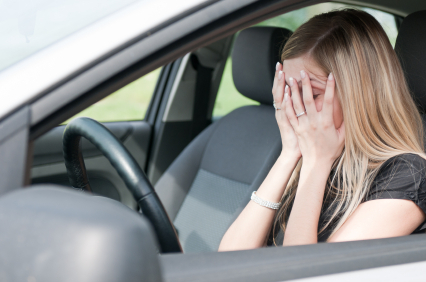 When left on autopilot, a panic attack will “lock” onto whatever you believe to be the cause. If you can’t identify the cause then, over time and left untreated, it is likely to generate a social phobia and agoraphobia, spontaneously erupting at random. With a flying phobia, you associate your panic with flying. But the plane, the crew, the journey (or any other part) is not “causing” your panic. It is caused by a series of internal negative programmes now conditioned to keep you on the alert until you can change it. When you can switch this focus of attention, you will be devoting so much more of your energy and resources onto internal events i.e. the source of your panic. Not an easy task, but is essential to fully take control of what is yours. The control-centre for changing your panic is in your mind, not the object or situation. Trust that the external situation will take care of itself. You may not consider this next activity to be helpful, but persist with it. Momentarily close your eyes as if to meditate so that you can remove some of the visual cues likely to distract you from focusing on the inside. This places your mind into the arena where to can manage your panic. Now imagine closing your eyes on a journey in which you would feel moderately anxious. Does it cause you to feel tense? If it does, then consider practising this in situations in which you consider them to be moderately anxious e.g. when travelling on a bus. It will be a useful resource in your preparation for flying because you are learning to access your internal solutions, rather than being distracted by external false triggers. So having switched your attention to the “inside”, what does your panic present to you? Fearful beliefs can vary from thinking that you are going to die, to being embarrassed in front of your peer group, or thinking that you are losing control that will eventually cause you to breakdown. This is part of your anticipatory anxiety (see treat your flying phobia tip #2). You continue to escalate your response by triggering more fearful beliefs, hyperventilating in your attempt to cope, but this makes your condition worse. The tension in the abdomen or chest is a common feature of panic attacks. By learning how to breathe to reduce your panic, you can alter the course of your physical symptoms. Do use the link to master your breathing techniques because when you are breathing slowly, deeply and abdominally, your physical tension can be lowered. With less physical tension, it diminishes your internal red alert (see treat your flying phobia tip #3) and the conviction of your fearful beliefs. This treat you flying phobia tip focuses on mental rehearsal. Strong visualisations can serve as mental preparation for your desired future experiences. In other words, when you practise imagining a calm flight, your mind will construct a template of you being on a plane, feeling relaxed. Over time, your repetitive positive visualisation can transform your images into your actual experience. So, work on visualising the experience that you WANT. But I can appreciate that when your default position has a flying phobia in the background, the negative impact of your phobia will initially block your attempts to visualise the ‘other side’. Having a flying phobia means that without actively trying to imagine a relaxed flight, there’s ‘the projection room is empty!’ This will need some serious reprogramming! So how do you learn to visualise? The breathing techniques help you to bring your mind down into a relaxed state where you can access chosen thoughts and images. When you are relaxed, it’s easier to be the “director” in your mind, rather than being directed by past traumas. After your breathing techniques, develop a script of your imagined positive experience during your flight. If this seems difficult to create right now, borrow a “script” from a different relaxing experience and transfer the detail into the flying situation. Next, “colour” the script with your relaxed feelings and emotions, making the details as vivid as possible. You could even use somebody else’s experience for your own script if it is easier to construct. Use whatever can be translated easily into your own positive flight scenario. Once the script is written, begin imagining this scene as a situation that has already happened, as this acts to consolidate the belief about your future reality (I know that it literally sounds back to front, but this is the whole idea – in your mind you want to visualise that you’ve already done it!) Re-draught the script as you become more experienced, intensifying the emotions with each practise. It is a gradual process however, so don’t lose faith if the feelings and images don’t seem real enough at this stage. You are learning to create this state of mind; it won’t be mastered in one attempt. Is it easy to get distracted when visualising? Yes, it’s easy for the mind to wander with all the obligations and responsibilities in your life. This is quite normal, but is common when novices also learn to meditate. Being aware that you have gone off your positive flight path is the trigger to placing your mind back onto it again. Keep practising. How long should visualisation take? After the breathing techniques, the positive visualisation can take about ten minutes a day. Expect a more believable visualisation after a few weeks of daily practise. As an actor would learn their script, the frequency helps the process become automatic. Repetition is important with this ‘treat your flying phobia tip’. What is crucial through this process is recognising that your script is helping you access what you “want”, rather than what you “don’t want”. Imagined experiences of you relaxed, coping with your flying experience is the experience you desire. Ask someone to check your script for positivity if it helps you progress with this. 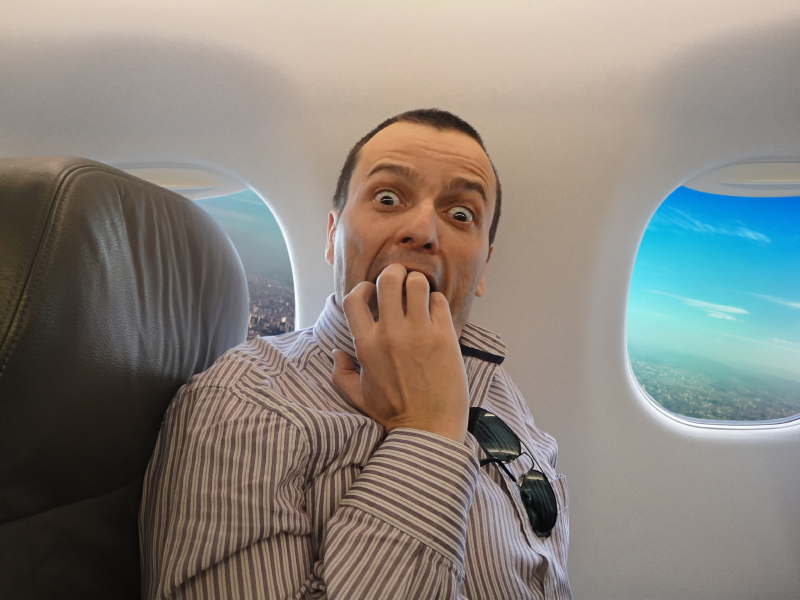 Most people can relate to this ‘treat your flying phobia tip’ only too well. When a situation triggers your anxiety, the common reaction is to avoid the situation again to stop you feeling more anxiety. This is the natural stress response that protects you from a perceived threat. Over time, if you are required to deal with that situation, your confidence is diminished and you doubt your ability to cope. Anticipatory anxiety (see treat your flying phobia tip #2) rules your mind and “offers” you short-term, secure alternatives to your anxious feeling. It convinces you into believing that if you can avoid that situation now, then you will feel better. Avoidance becomes a tempting safe option. But anticipatory anxiety doesn’t help you to see the long-term implications; it just deals with what is immediately up ahead. With you having a flying phobia, you will know only too well how destructive avoidance can be. It is has been a major contributor to the development of your flying phobia. You are aware that by foolishly “dodging it” over time, you will become reliant on that option as a way of coping. Avoidance stifles your progress and it becomes part of a vicious cycle of anxiety; you take short term fixes to feel better now. But it also creates long term problems that take more effort to undo. So what can you do about this once a conditioned response (your flying phobia) has set in? The answer is to label this anxiety cycle for what it is and begin challenging your thinking and your behaviour. Firstly, recognise and admit how avoidance has fooled your mind into the creation of a condition that has rarely actually “done” this to you, but continues to put you on a huge standby, exhausting you with excessive anticipatory anxiety when you so much as think about that situation. Secondly, find a positive anchor in your memories when you overcame adversity. Have you ever been afraid of something and avoided it only to respond with a hardened determination to keep going until you overcame it? If you’re struggling to find something within your memories, then do you know someone else who has done this? Borrow their example and use it as an anchor and building block for change. Thirdly, be honest about your personal avoidance behaviour. What do you keep doing that is safe to justify “not” dealing with your goal? Do you procrastinate by watching television or making a snack? “It’s time to tidy the sock drawer again!” is a good example when avoidance is controlling your mind. Help yourself by listing those trivial tasks that interfere with your goal so that you can “catch” yourself running away from it. With busy lives, the mind can easily prioritise according to what feels the nicest first, sometimes referred to as the path of least resistance. When this procrastinating “strategy” is employed to lead your life, those anxious yet important tasks are going to mount up! Fourthly, plan a realistic goal that relates to your flying phobia (see treat your flying phobia tip #1 and #3) that has only moderate anxiety e.g. aim to overcome confined spaces, until you can relax when using lifts. Be sure to expect some anxiety through this process of change. But this is part of the natural “undoing” development. Exposure to that situation helps you to learn how to manage your anxiety. Once there is momentum, your confidence and skill-resources will grow because you are now “dealing” with anxiety rather than “worrying” about it. In addition to this, the exposure will help you eventually get used to your anxiety, rather than being fearful of it. Your anxiety is something to overcome, rather than run away from. It takes courage to want to challenge something that is a deep-rooted part of human nature. So with the confined spaces scenario, grade your experiences (see treat your flying phobia tip #3) and commit to gradually challenge your confined spaces scale on a weekly basis. Use the breathing techniques to manage your anxiety. So these are the early developmental strategies that can help you treat your flying phobia. It can seem a long road back when a response has become conditioned, but with persistence and determination, you can make a u-turn and steadily work towards your flight goal. Of course, if you are struggling with any of these stages when attempting to treat your flying phobia, then hypnotherapy can offer you that booster with any part of your programme.